A new year is almost here. I can’t believe that. I’m doing something different for the year. I’m going to be posting monthly goals! This is something to help me keep where I’m going and what needs to change in view. I hope that this will be fun for everyone else as well. What you want see is a detailed list of the printables that will be coming out. 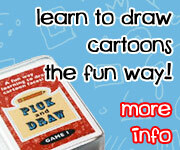 I’ll be posting general details about printables but not full plans of everything. I also will be posting about some family goals for the year. I am hoping by blogging about some of them it will help be better about them. These are my year only goals for 3 Dinosaurs. This is something I hope to do over the whole year! Another part of this post will be family or house goals that we have. We are going to have a year only theme at our house. It is going to be “See A Need”. I can’t take credit for the theme. I got it from someone else. The idea is that if you see something you could do or fix, do it! Instead of stepping over the toy, pick it up and put it away. It only takes a second. This will go for my girls and for me. I need this as well. My girls are also writing goals this year. I’m going to help them with a few of them, to help them out I made several different types of printables that we can use. Some are answer questions and others are make your own goal. I like having flexible options. My girls are going to be putting their goals for the year together on New Years Day. Click here to get your copy of the Free Goal Writing Printables. What are you goals for January? This entry was posted in goals and tagged monthly goals, printables. Bookmark the permalink. Your spelled out goals inspire me to write mine out. I am such a process person that my first post was about the how to set goals. I needed that for myself. My children have set their goals and I have mine jotted down. Now to just get them formalized 🙂 I look forward to following along in 2014. Some times we need that firs step of knowing how to use and set goals before we get started. I’m hoping that I can get all my goals done. I have them printed out and hanging where I can see them as well. I love the idea of “see a need.” We are definitely going to have to adopt that philosophy over in my house! Can’t wait to encourage each other throughout the year! What a great printable! Good luck achieving your goals. 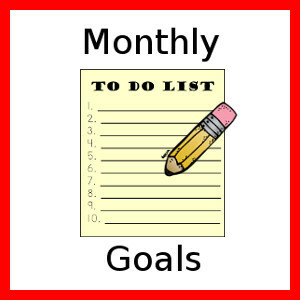 I’m so glad you’ve joined up with monthly goals for 2014! Thanks! I wanted something good for them to use. It was fun to make but had a hard time just picking one way to do it. I’m starting today off right. It is one of my really bad spots for me too! That is why I’m doing this. I cant get my laundry done! I want to improve so that it become habit. Thank you for hosting this linky! ou guys are an inspiration to me, and I hope to be able to fulfill my goals; this is a great motivation! Good luck!! I would love to have no laundry to fold at the end of the day, this is one of those never ending chores in my house. I have to admit, I am a little jealous! That is my goal! So far so good! I hope to keep it up! Love this! I featured your post in a round-up of free printable goal sheets today. You can check it out at http://pinspiredhome.blogspot.com/2014/01/make-it-happen-10-free-printables-to.html.